Obsessive Sweets: Special Preview: Nestle Crunch Girl Scout Cookie Candy Bars Have Arrived! 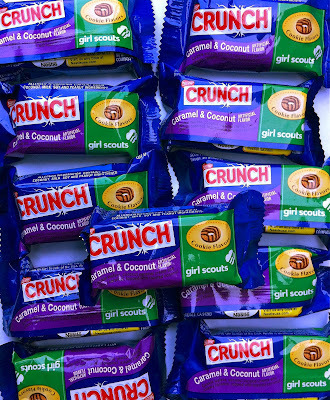 Special Preview: Nestle Crunch Girl Scout Cookie Candy Bars Have Arrived! 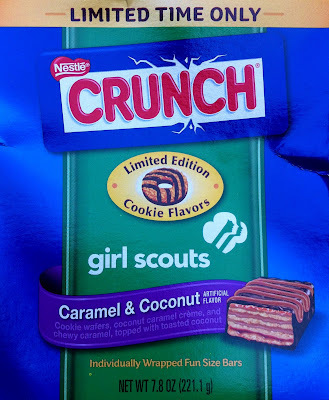 I've been waiting by the mailbox since ordering the preview batch of limited edition Nestle Crunch Girl Scout Cookie Candy Bars in Coconut and Caramel (Samoas) and Peanut Butter Creme (Tagalongs) flavors. 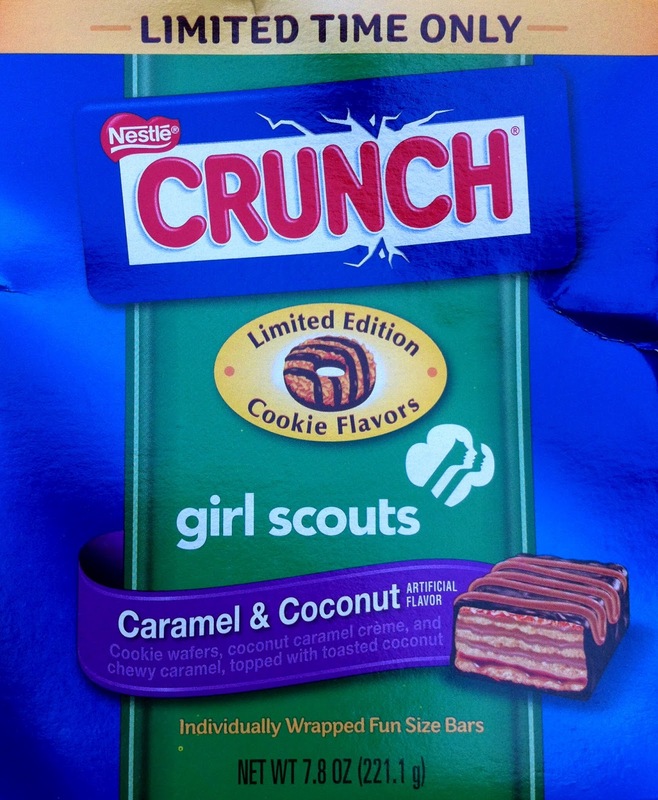 They will be released nation-wide in June. 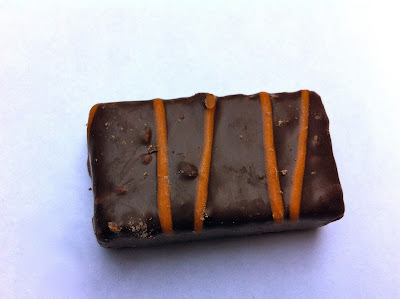 Review to come but I could not resist sharing images of the new candy treats. (They're sooo good).